Also did my first commissioned seat. Which turned out very nicely I must say. 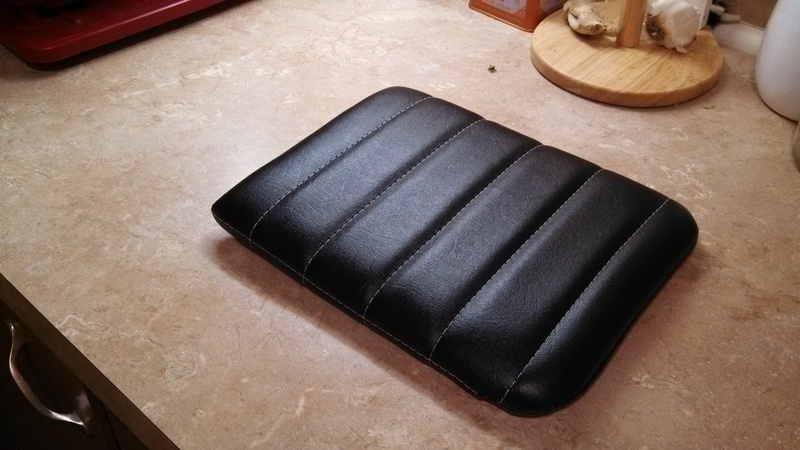 Granted it was like the most simple seat pan ever. 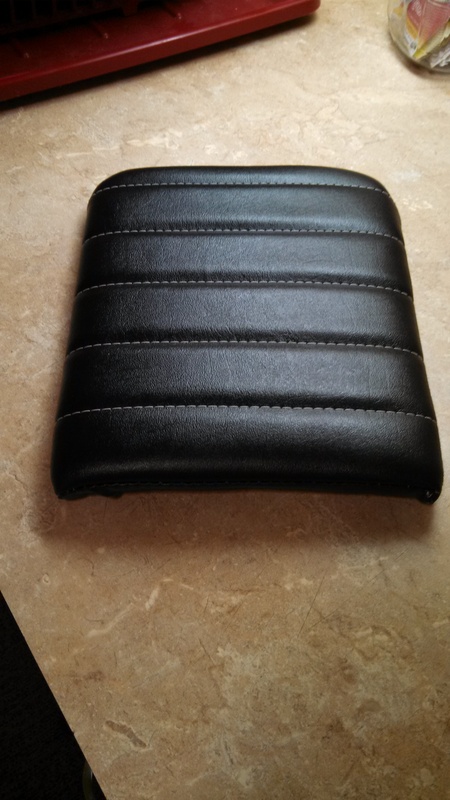 It is just part of a cafe style seat. 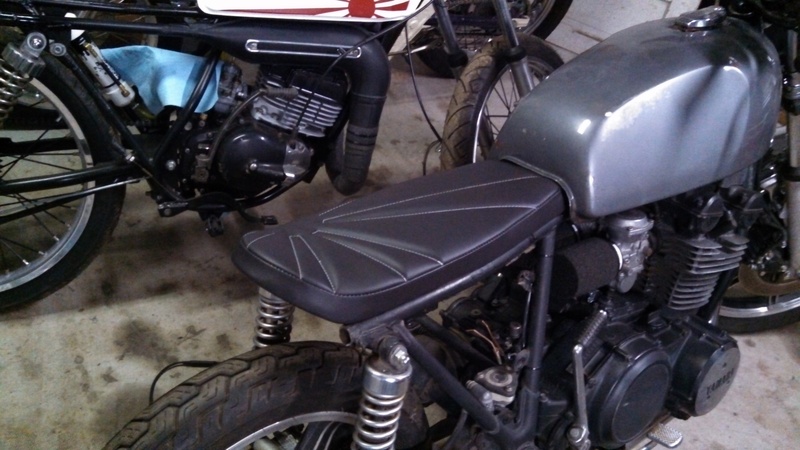 I’m also working on a chair for my step dad, which I’ll post later, and someone shipped me an old stock seat for their triumph that I’m doing right now. First time working with a stock pan and foam…it is HARD! But coming along nicely. 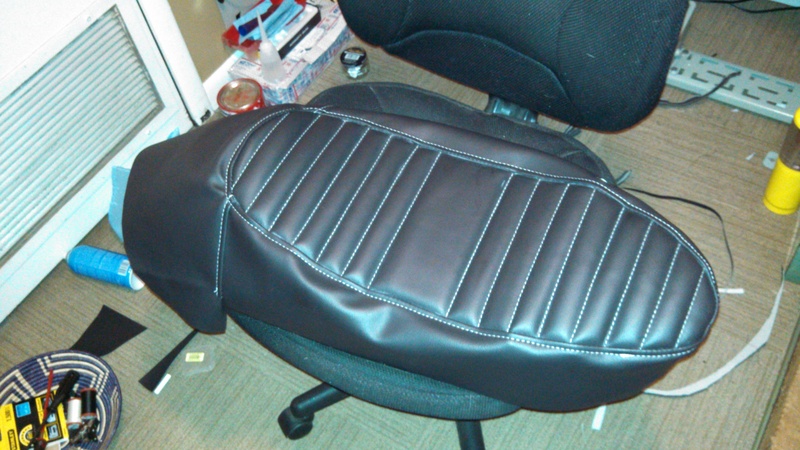 Just need to form it to the seat now. That was the second attempt at the cover…the first was a big lesson! I’m learning tons with each seat I love it so much!